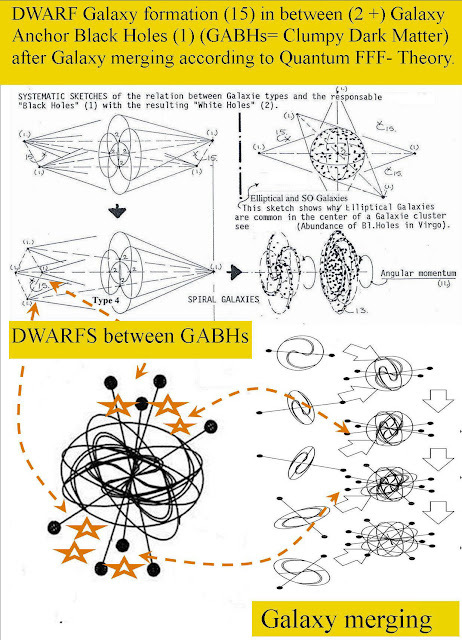 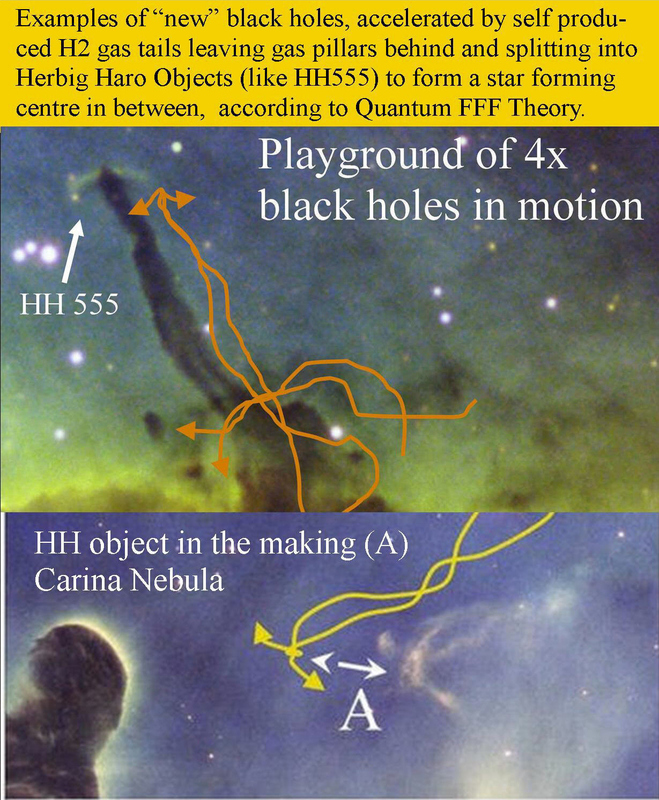 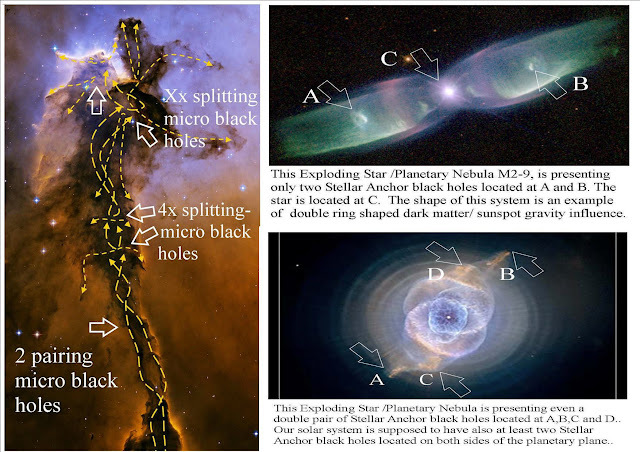 Dwarf Galaxy Formation in between Galaxy Anchor Black Holes (Clumpy Dark Matter) according to Quantum FFF- Theory. 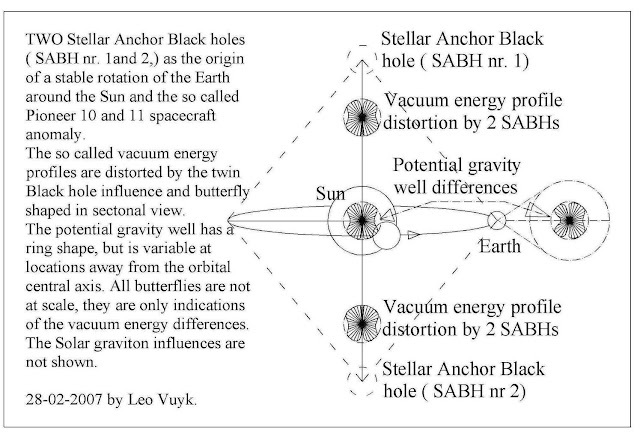 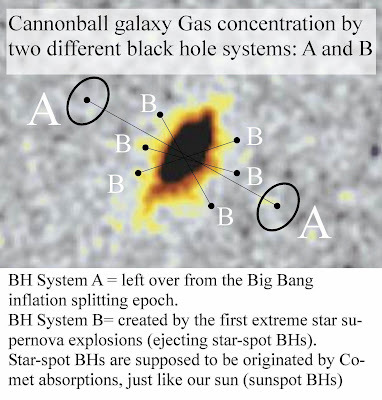 but central concentration of Dark Matter..
ALSO THE SUN SHOUL HAVE at least TWO massless STELLAR ANCHOR BLACK HOLES (SABHs)! 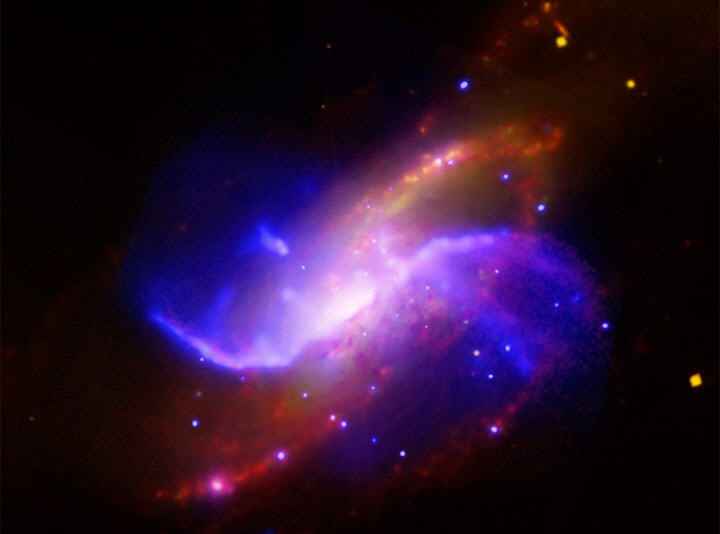 Messier 106 with two extra "arms" of hot x-ray emitting gas possibly in connection with the GABHs! The observed Fermion repulsion around "new" black holes is originated by the propeller shape of Fermions. 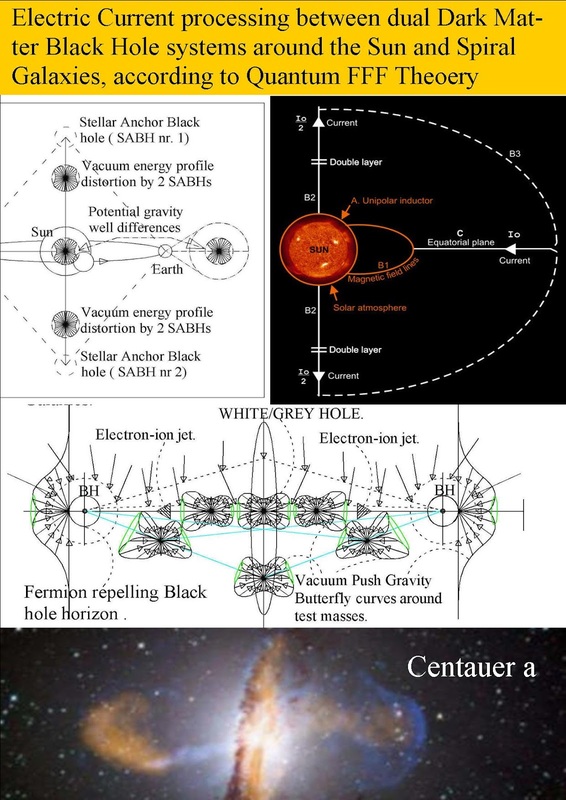 In combination with the oscillating Higgs vacuum structure around the black hole horizon., which induces Fermion polarisation and acceleration away from the black hole. 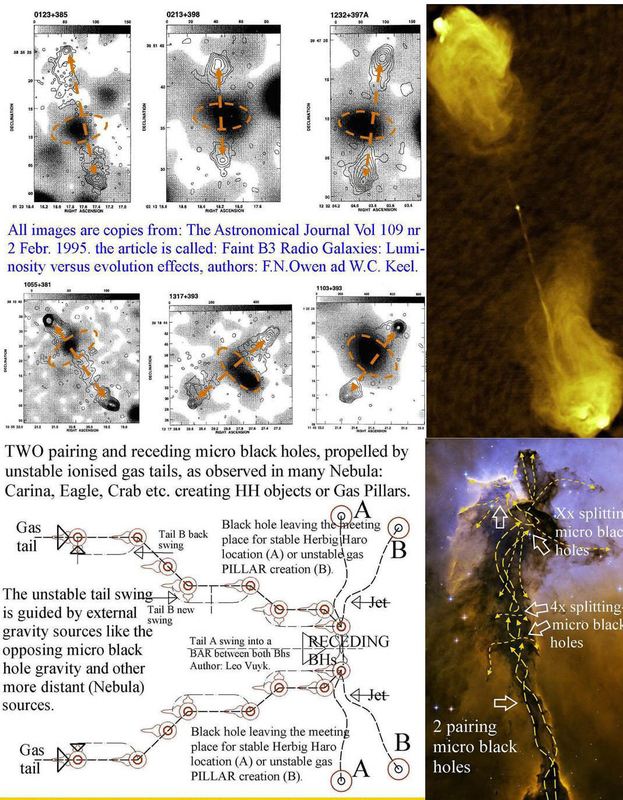 3: Cosmological inflation ( expansion) is driven by the evaporation of the BB black Hole Higgs particles forming the oscillating Higgs vacuum lattice. 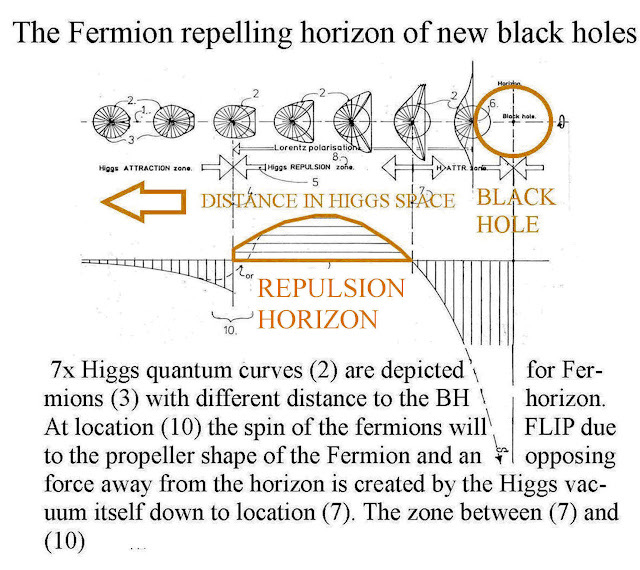 Day 2 of Higgs Symposium. 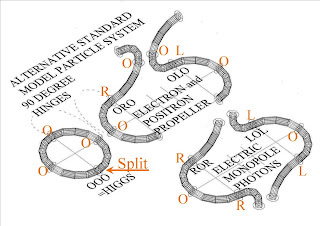 Riccardo Rattazzi (professor at EPFL in Lausanne, who has shown up on this blog a couple of times before, here and here) then gave a beautiful talk about the possibility that the Higgs particle is a composite object, the way the proton is a composite object made from smaller things. This possibility is now highly constrained, but not ruled out yet; for it to work presumably requires that the matter particles of the world (the quarks and leptons) are partly composite (meaning they are mixtures of elementary particles and composite particles. 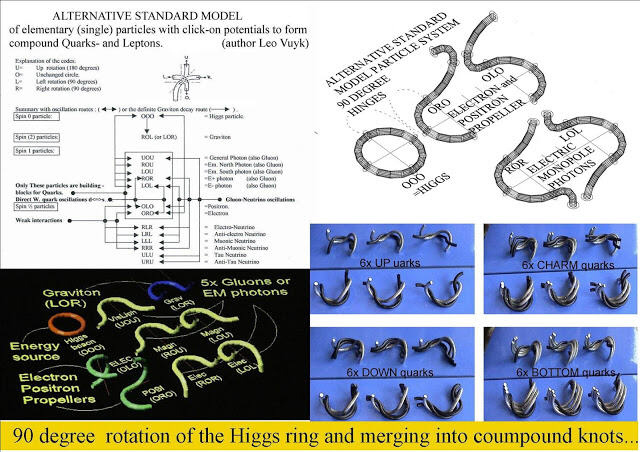 Sir Michael Atiyah, one of the world’s great mathematicians, whose work has had enormous influence in physics, gave a talk about the relationships between Higgs phenomena and solitons — in particular, magnetic monopoles, instantons and Skyrmions. 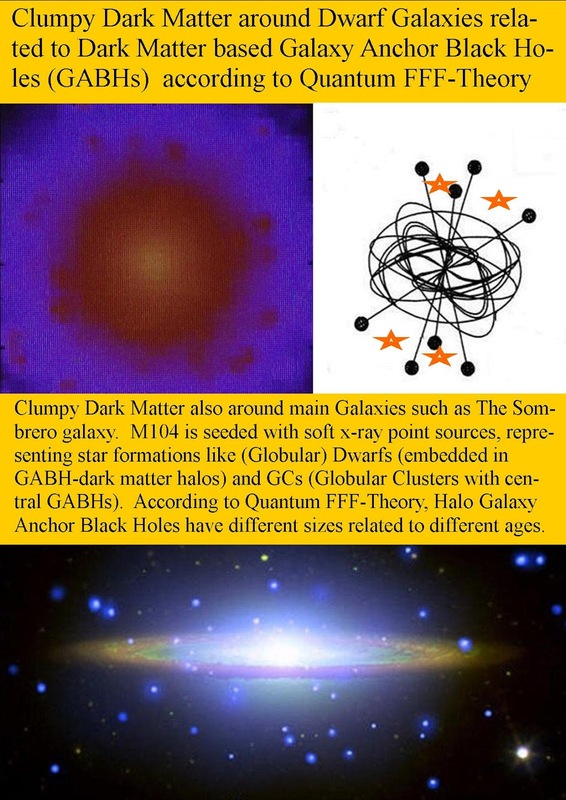 NEW PHYSICS by New ZPE Dark Matter Black Hole. 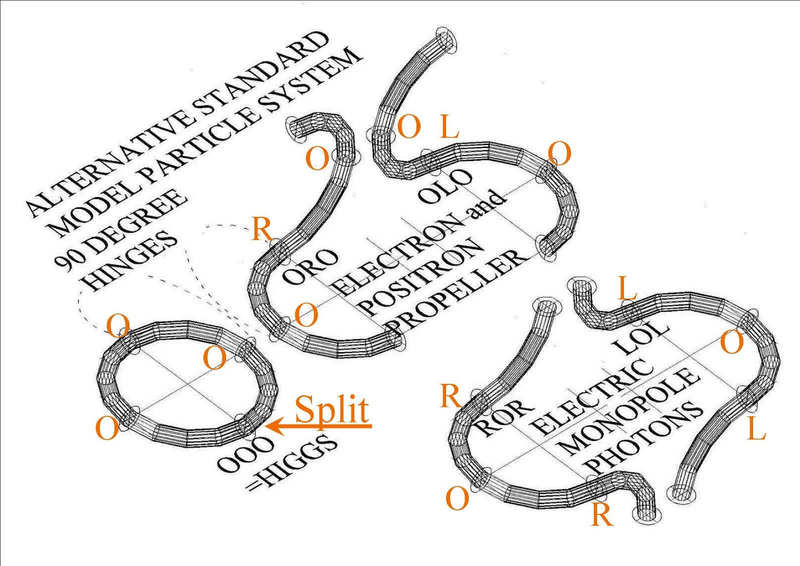 Some simple NEW standard model particle shapes. 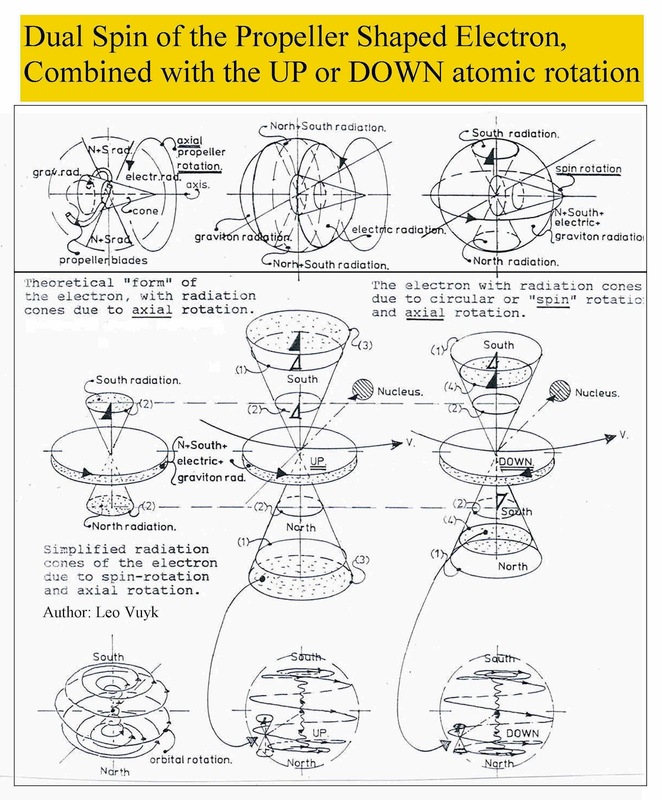 (propeller shaped Fermions) accelerated and guided by the dense Higgs oscillating (truncated tetrahedron) vacuum lattice. The new FERMION FRIENDLY (repelling) BLACK HOLE, originated by the propeller shape of all Fermions polarized and "Spin Flipping" by the dense oscillating Higgs vacuum structure around BHs (see below).